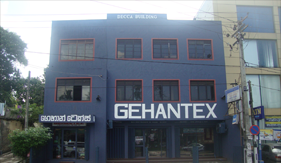 The Gehantex Group, a family business was established on 20th May 1963 by Late Mr. G. Seelanathakuruppu – Founder Chairman and Mrs. Rukmani Seelanathakuruppu, the present Chairperson. The group comprises of Gehan Industries (1963), Ceylon Handlooms (1963), G.Seelanathakuruppu & Sons Ltd (1969), Gehantex Industries (1979), GSL Tea Expo (1978) and Japanese Tawashi Brush Export (1978). 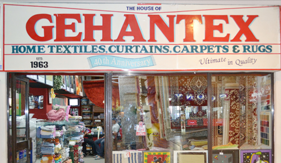 Gehantex pioneered Handloom cotton textiles, garments, hand made and machine made carpets and rugs for homes and hotels local and overseas, covering Asia, Middle East, Europe and USA. Presently, the company import world class textiles, carpets and rugs marketed by our showrooms and dealers island wide. The Company was the official interior decorators and supplies of curtains, linen, carpets and rugs for the state visits by the Holy Pope, HRM Queen Elisabeth, HRM Prince Charles and many Heads of States, the Non Align conference (1976), SARRC Conferences (1991, 1998 & 2008). Further, the company had and still has the privilege of supplying their products to many national events.